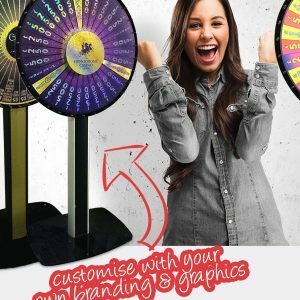 Buy custom made Wheel of Fortune products from our exclusive range. 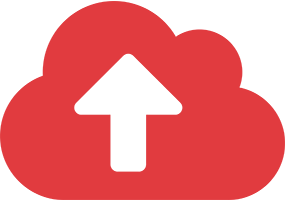 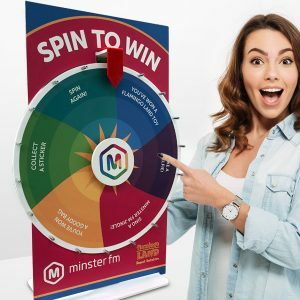 Do you need a fun and engaging game to promote your brand or company? 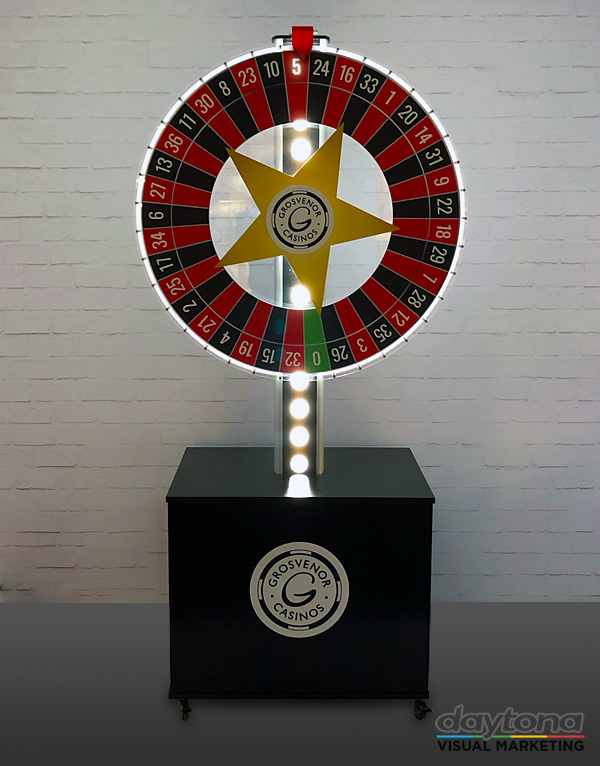 Our premium ‘casino’ quality, custom Wheel of Fortune products are the perfect solution. 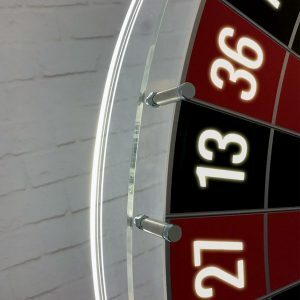 Don’t settle for substandard quality! 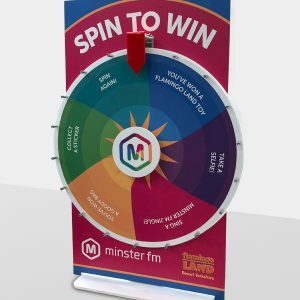 All our Wheel of Fortune products are manufactured in-house using high quality materials and print processes. 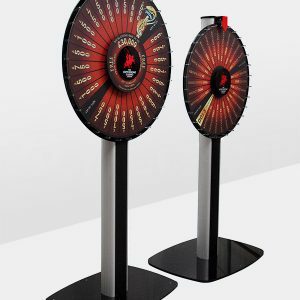 From full height free-standing Wheel of Fortunes to desktop and premium LED illuminated Wheel of Fortunes, we have got a solution for you. 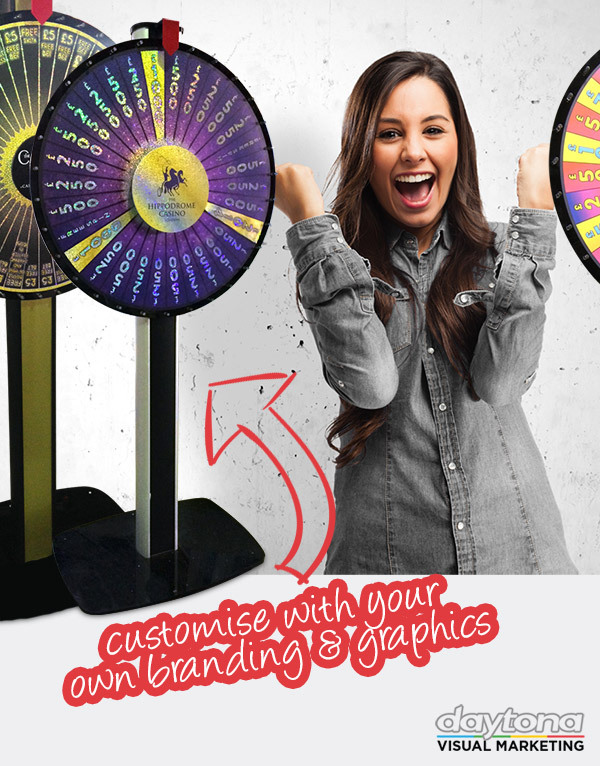 We’ve also got plenty of customisation options to go with our Wheel of Fortunes, so you can customise according to you branding and budget requirements. 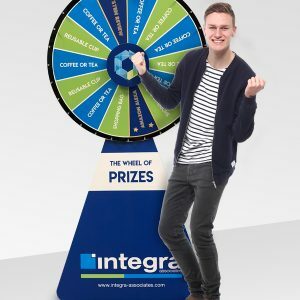 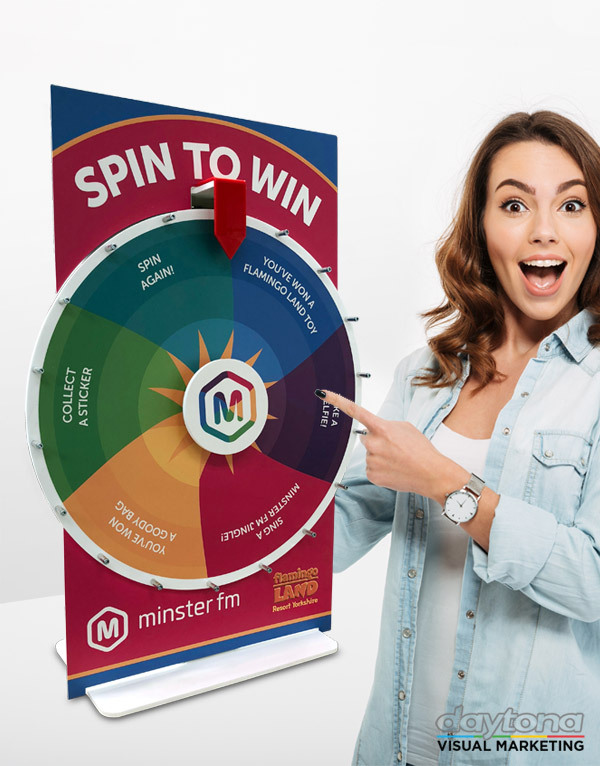 Increase brand awareness by engaging your customers and guests using our high quality and captivating custom made Wheel of Fortune products. 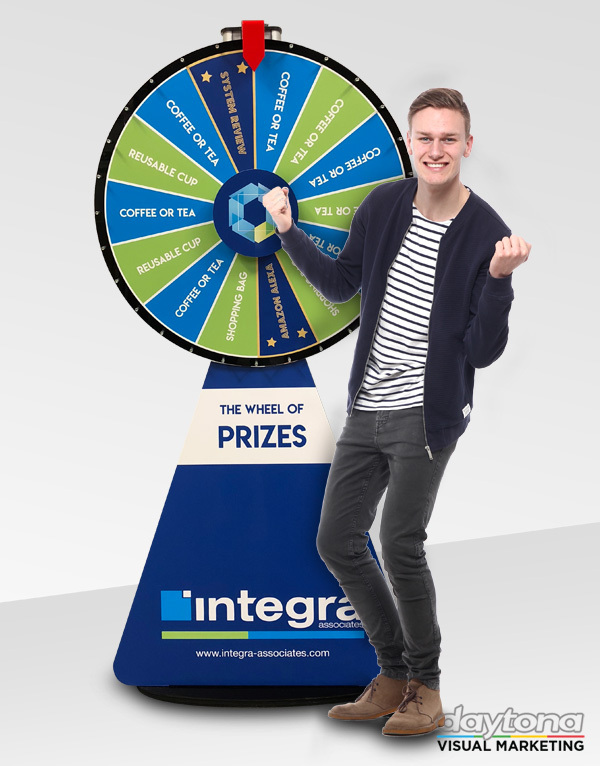 Choose one of the products below to get started.